Successfully analyse the macro environment in which your organisation works. This course aids strategic thinking in all areas in which an organisation has to trade, deliver, employ, compete and more. Our business strategy course is specifically for the Senior Managers of businesses and organisations that are growing, or are looking to establish and implement plans for change and growth. Attendance with a peer from your organisation where possible is advised (multi-place booking incentives exist too). 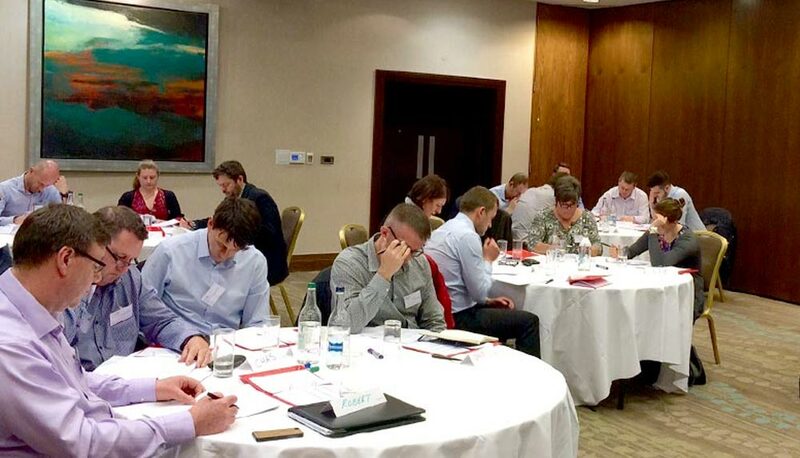 The course is also very useful for Owner Managers keen on developing or realising business value potential. The course allows delegates to review their own organisation and its environment from different perspectives. Delegates concentrate on building strategy and culture, and examine how strategies in a business can successfully join together. It looks at the effects that these will have on people and teams as they take hold. The programme allows delegates to reflect on their own organisations as they go. Working with a peer during the training course is useful, if not essential. The programme also provides a unique opportunity to network and chat with other senior-level professionals facing similar challenges with their organisations, and view your organisation from a different perspective.